Great Bend, Kan.-based Adams Brown Beran & Ball (FY17 net revenue of $20.9 million) announced that Brett Henry, Meagan Wellbrock and Julie Wondra have been admitted to the partnership group. Henry joined the ABBB team in 2006 and previously served as a principal. As a partner, Henry will continue consulting with a variety of clients. He is a member of the firm’s construction industry and CFO service line teams. He is a veteran of the U.S. Army. 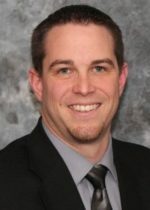 He is a member of the AICPA and Kansas Society of Certified Public Accountants (KSCPA), where he graduated from KSCPA’s “20 up to 40” leadership program. 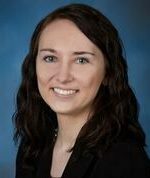 Wellbrock began her career at ABBB as an intern and joined the firm full-time in 2007. As the audit and attestation (A&A) service line leader, she focuses on providing A&A services, managing a variety of audit engagements, and consulting on managerial and operational concerns. She holds a Lean Six Sigma Green Belt certification. She serves on the KSCPA Audit and Assurance Tax Force. Wellbrock was named the AICPA/KSCPA Women to Watch Emerging Leader in 2015 and has graduated from both the AICPA Leadership Academy and the KSCPA’s “20 up to 40” leadership program. Wondra will continue serving a variety of clients, leading the firm’s manufacturing industry team, and serving as the firm’s Affordable Care Act specialist. After two years at a Big 4 accounting firm in Kansas City, she joined the ABBB team as a staff accountant in 2008. 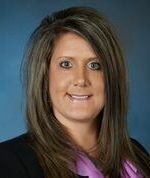 Wondra is the 2013 recipient of the AICPA/KSCPA Women to Watch Emerging Leader award. In addition, she is a graduate of the KSCPA’s “20 up to 40” leadership program and Leadership McPherson.